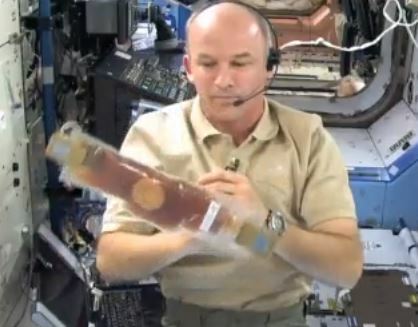 I met several astronauts and toured their training facilities, but the bulk of my time was spent writing physics demonstrations that would be performed by astronauts on board the International Space Station. I even had the chance to be on the console at Mission Control while some astronauts performed education activities in space. Within a few weeks, the demonstrations I wrote were being recorded in space! Check out some of the results: Centripetal Force, Cohesion, and What Time is it in Space?